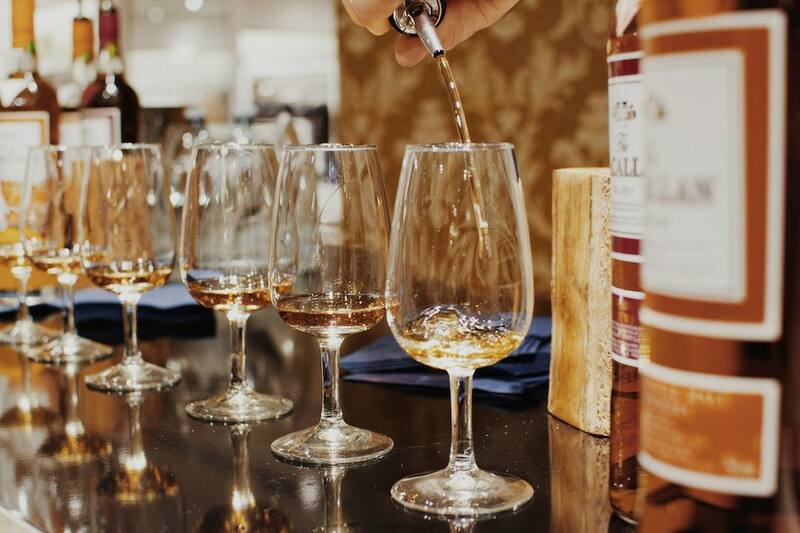 Back by popular demand, The Macallan Single Malt Scotch whisky is bringing its tasting lounge back to Harry Rosen for a second year in a row. 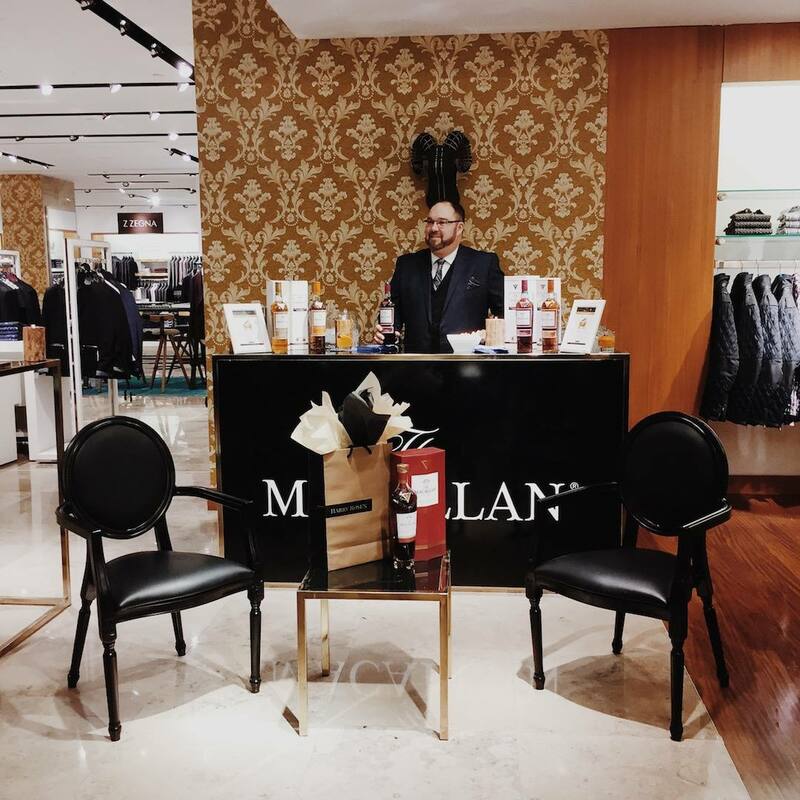 The pop up bar will be at Harry Rosen’s First Canadian Place location (100 King Street West, Toronto), offering guests the opportunity to sample The Macallan 1824 Series, while they shop the latest in men’s fashion. If you’re a fan of Scotch whisky, then you’ll be especially excited to know that this year’s lounge will feature The Macallan’s new addition, The Macallan Rare Cask. 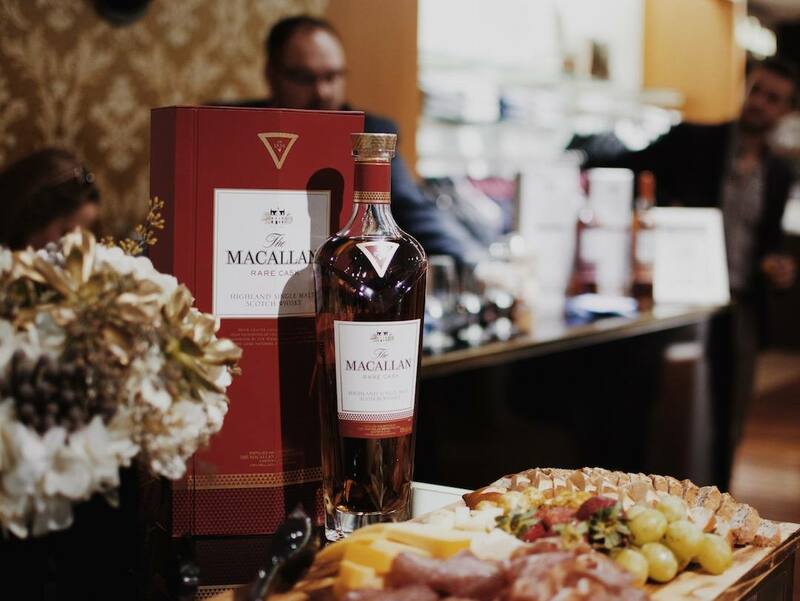 Visitors to the Lounge will be among the first in Canada to taste this premium spirit, which was created as an ode to the beautiful, natural color and complex flavor that The Macallan is known for. The rarity of The Macallan Rare Cask is attributed to the liquid’s creation in first-fill, Spanish Sherry-seasoned oak casks, hand selected from less than one percent of the finest casks maturing at the distillery. 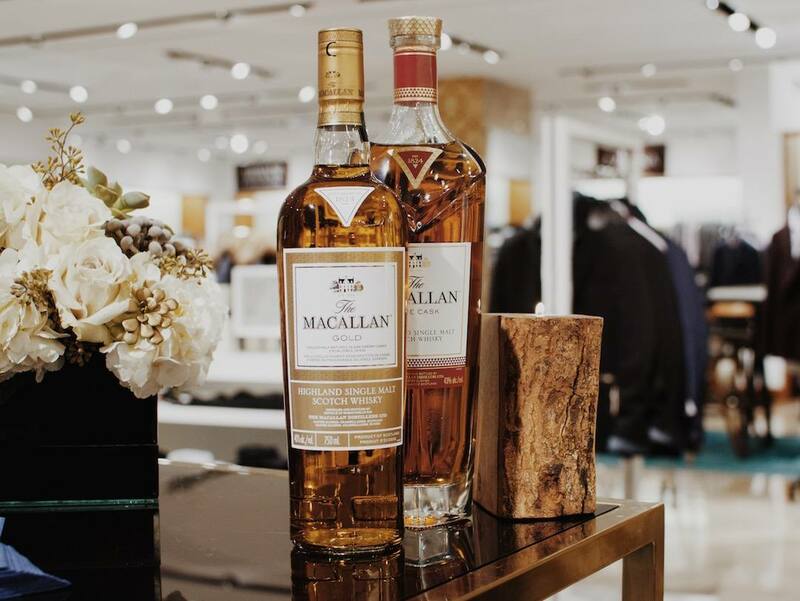 It is truly a luxury offering and it is only fitting for The Macallan Rare Cask to launch at Harry Rosen. Last week, I got a sneak peek of what the space will be like, as well as a look at the recently revitalized Harry Rosen location. The store now features a fresh look and feel that is bolder and more suited to the younger Bay Street businessman. There is also a new section, dedicated to custom made suits from Amsterdam’s Munro Tailoring. Equipped with a touch screen design program, a range of sample pieces and every fabric swatch you could imagine, the new custom suiting area is a must-try. 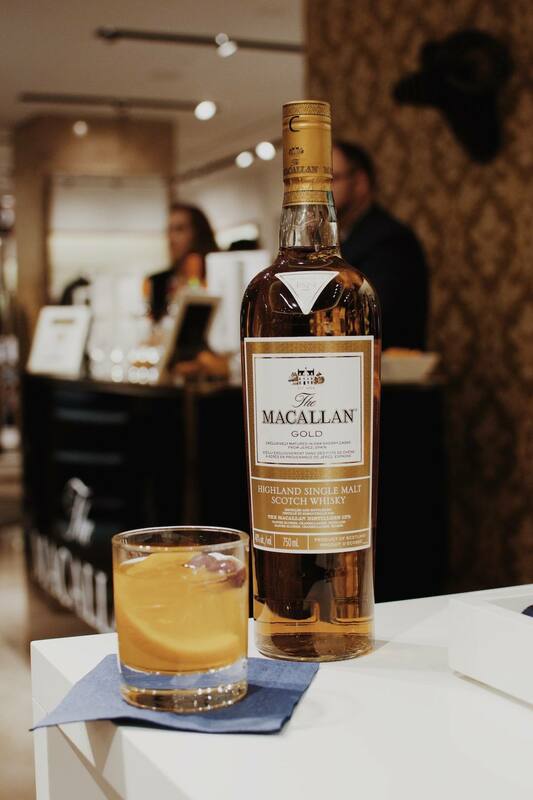 The Macallan Lounge at Harry Rosen will be open Monday, November 16 to Friday, November 20, from 3:30 pm – 6:30pm. Previous Post ZARA Is Back at CF Toronto Eaton Centre!